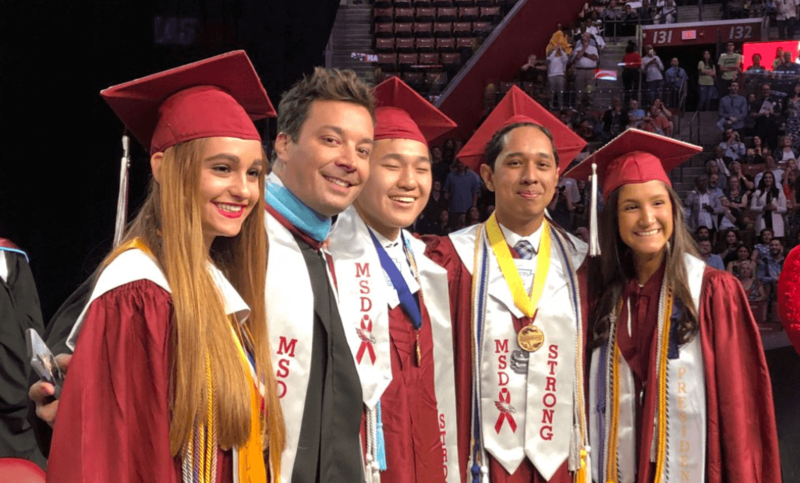 Marjory Stoneman Douglas High School, site of the Parkland, Florida, shooting that killed 17 earlier this year, had its graduation ceremony, and Tonight Show host Jimmy Fallon turned up to deliver a commencement speech and thank the students for their activism. Fallon said he met several members of the student body, and the class of 2018, when he was at the March For Our Lives rally in the spring. The ceremony overall was solemn, with the lost students and staff members honored and remembered often.